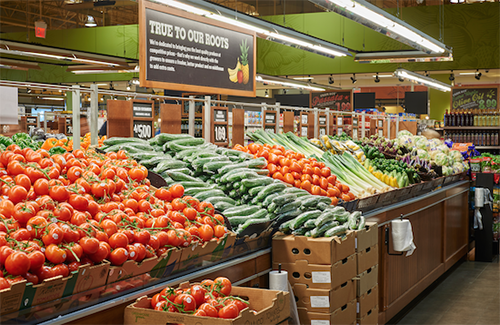 Sobeys Inc. parent Empire Company Ltd. is acquiring Ottawa-based fresh grocer Farm Boy in an $800 million (Canadian) deal. Empire said Monday that, under the transaction, it will purchase Farm Boy from Berkshire Partners and the chain’s management shareholders. Plans call for Farm Boy to be set up as a separate company within Empire, and Farm Boy's co-CEOs have agreed to reinvest in return for a 12% interest in the business. With 26 stores in southeastern Ontario, Farm Boy specializes in local fresh produce and meat and serves up a wide range of ready-to-eat foods prepared in-store. Empire noted that the retailer also operates a robust private label program. Farm Boy opened its first stores in the greater Toronto area earlier this year, and its 27th location is slated to open at the Oakwoods Centre shopping center in Oakville, Ontario, this winter. Stellarton, Nova Scotia-based Empire called the chain an “excellent fit” with its Sobeys and FreshCo banners in Ontario, a region where the company said it’s “underpenetrated.” To that end, Empire aims to step up the rollout of the Farm Boy concept in greater Toronto and southwestern Ontario through new construction and conversions of some current Sobeys locations, with a longer-term plan to expand the format to other parts of Canada. In addition, Empire expects to further its penetration into the greater Toronto market by adding Farm Boy’s private brand products to Sobeys' Ocado-based e-commerce business, which is due to launch in the Toronto market in 2020. “Farm Boy is a superb strategic and financial acquisition. It strengthens our reach in the key Ontario and greater Toronto area markets, it will be a growth vehicle in urban and suburban markets, and its very strong private label program will bolster our Ocado-driven e-commerce business," Empire President and CEO Michael Medline said in a statement. Farm Boy co-CEOs Jean-Louis Bellemare and Jeff York will continue to manage the chain after the acquisition closes. They will report directly to Medline. “As you prepare for the next phase of growth, you don't just team up with anyone. Empire understands what it will take, shares our vision for the brand, and in President and CEO Michael Medline and CFO Mike Vels, we have access to executive leadership with deep experience in making acquisitions like this successful,” said Bellemare, who founded Farm Boy in 1981. “We had many choices, but our trust and confidence in Empire and its dedication to our brand and its growth made this the perfect partnership." The companies said Farm Boy will benefit from Empire's infrastructure and capabilities in real estate, sourcing and logistics, providing certain non-customer facing synergies and enabling faster and even more effective store expansion. “Together with Empire, an iconic Canadian brand with a national grocery presence, Farm Boy will significantly accelerate its growth agenda,” said York, who has been co-CEO at Farm Boy since 2009. “We will strengthen the already strong Farm Boy brand, starting with urban and suburban markets in Ontario and eventually rolling out to other areas of Canada. We are particularly excited by the eventual reach of the Ocado e-commerce platform and can’t wait to showcase our high-quality, local products to many more Canadians." Empire reported that the acquisition deal’s total enterprise value of $800 million represents a 14.1x multiple of Farm Boy’s estimated EBITDA in Empire's 2020 fiscal year. Pending regulatory approval and customary closing conditions, the transaction is expected to close at the beginning of 2019. Overall, Sobeys owns, affiliates or franchises more than 1,500 stores in all 10 provinces under such banners as Sobeys, Safeway, IGA, Foodland, FreshCo, Thrifty Foods and Lawtons Drugs. Its retail network also includes over 350 fuel locations.